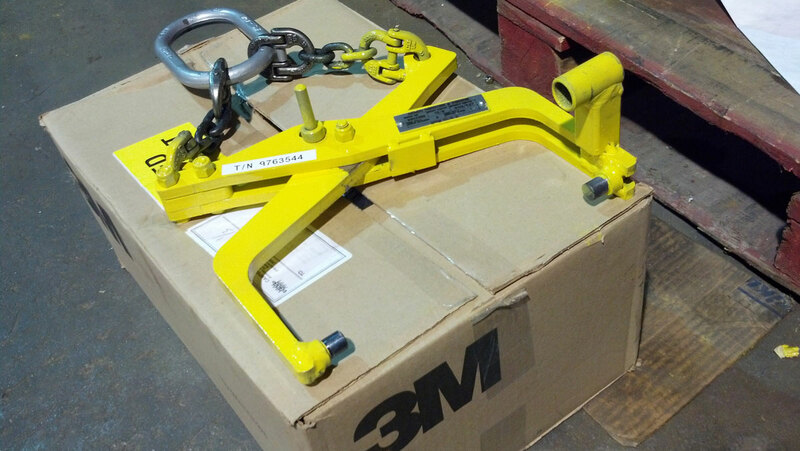 A Below-the-Hook (BTH) lifting device is classified as a device used for attaching a load to a hoist. 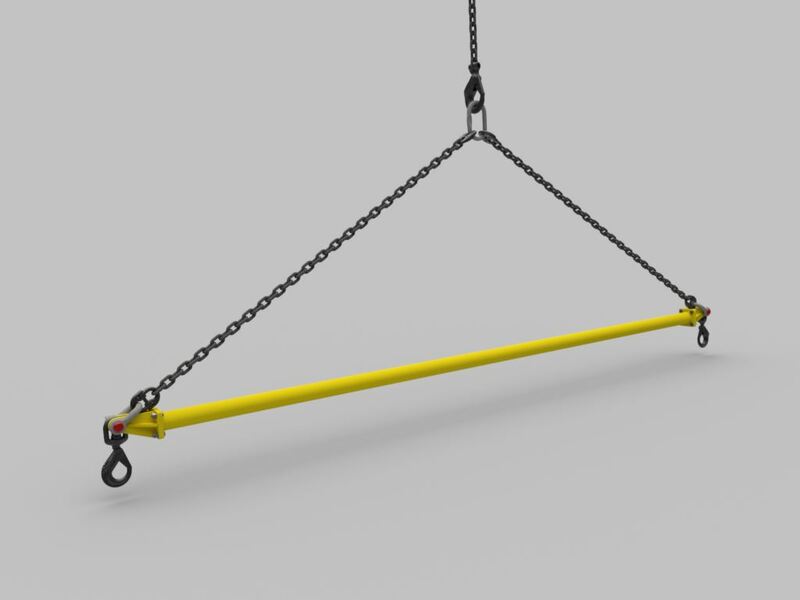 Rigging is the primary form of BTH lifting devices which include but are not limited to: chains, hooks, shackles and load rings. 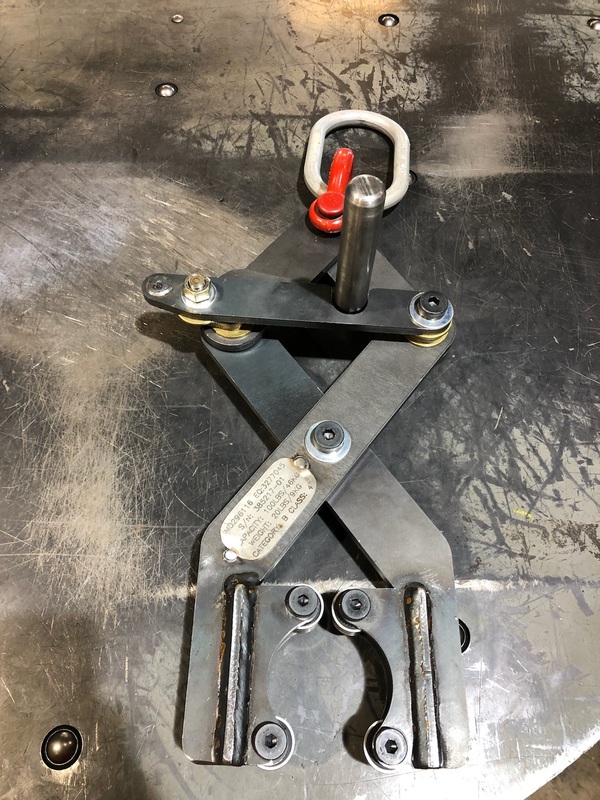 A custom BTH device is commonly used to lift uniquely shaped material, long loads, spread the load to multiple hooking points, and to add safety to the lifting operation. 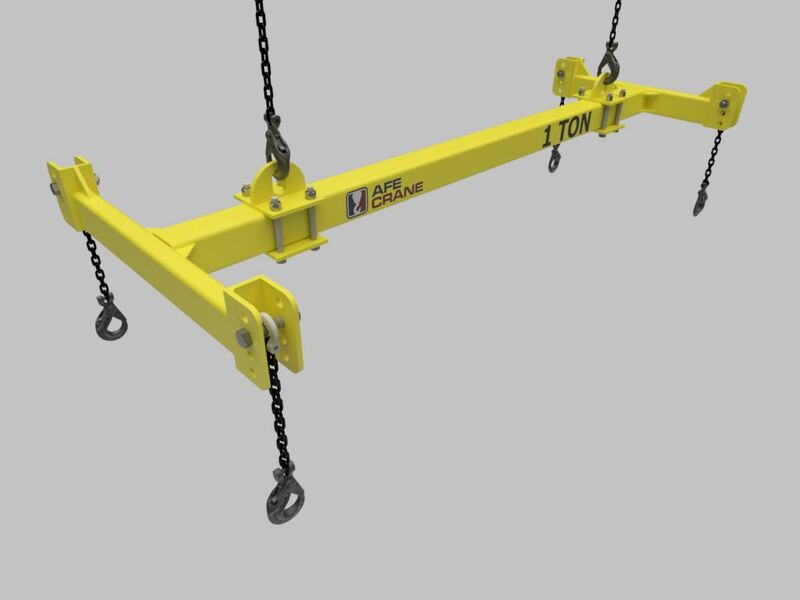 AFE Crane designs and builds Below-the-Hook lifting devices to the latest version of the ASME B30.20 and ASME BTH-1 standards to ensure safe lifting. 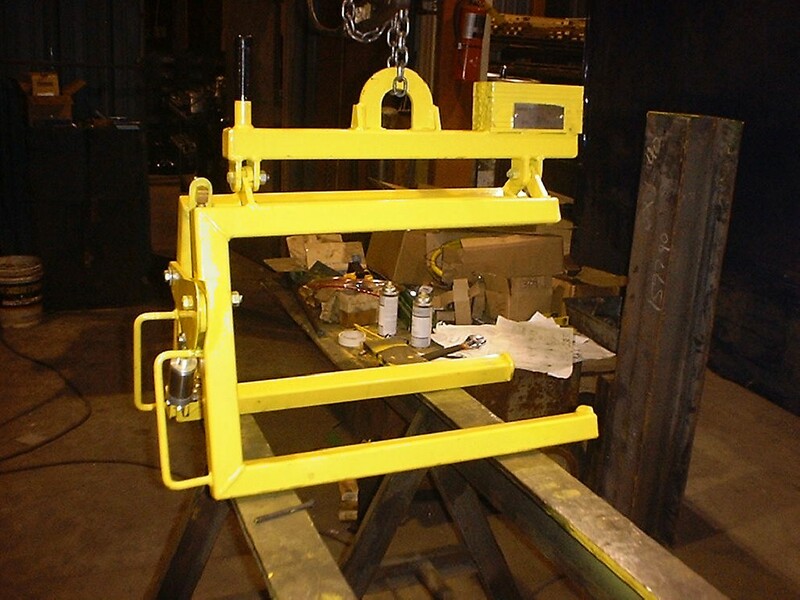 AFE Crane’s custom Below-the-Hook lifting devices are always built to the customer’s specific requirements. 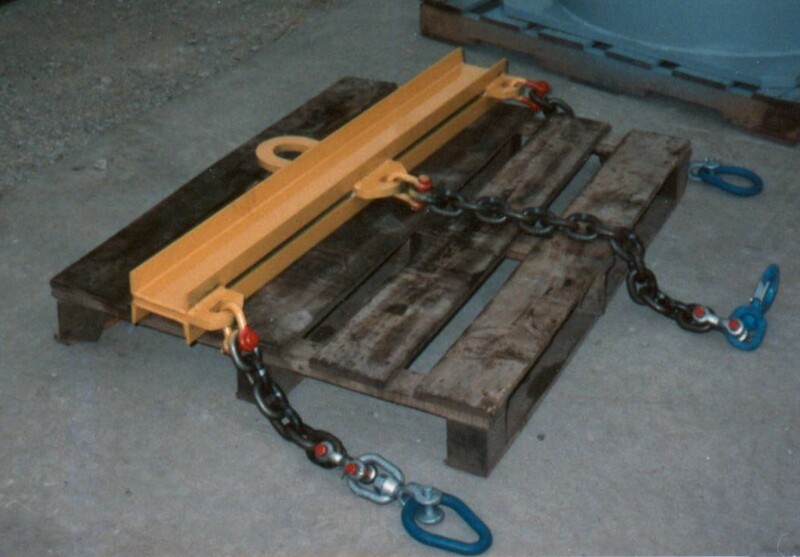 The most common type of BTH lifting device are lifting beams. 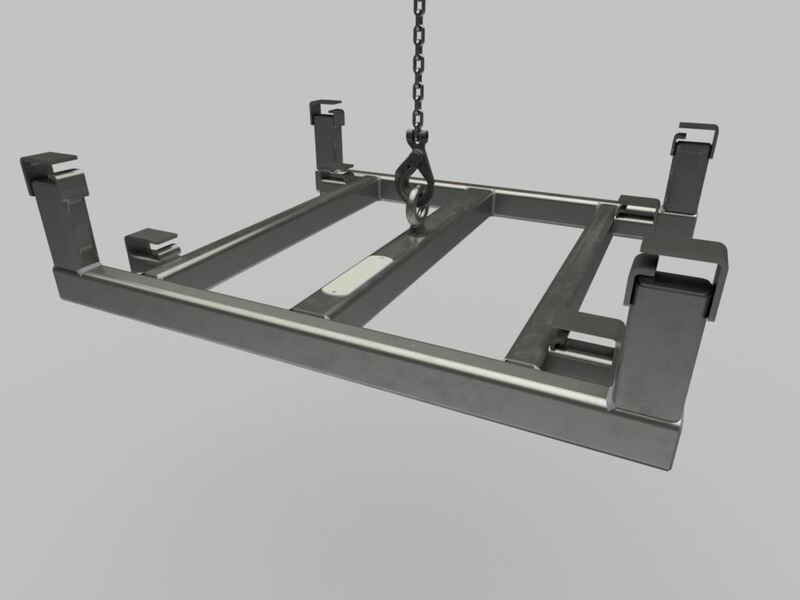 These lifting devices can be built with a large range of capacities and spans depending on the customer’s requirements. 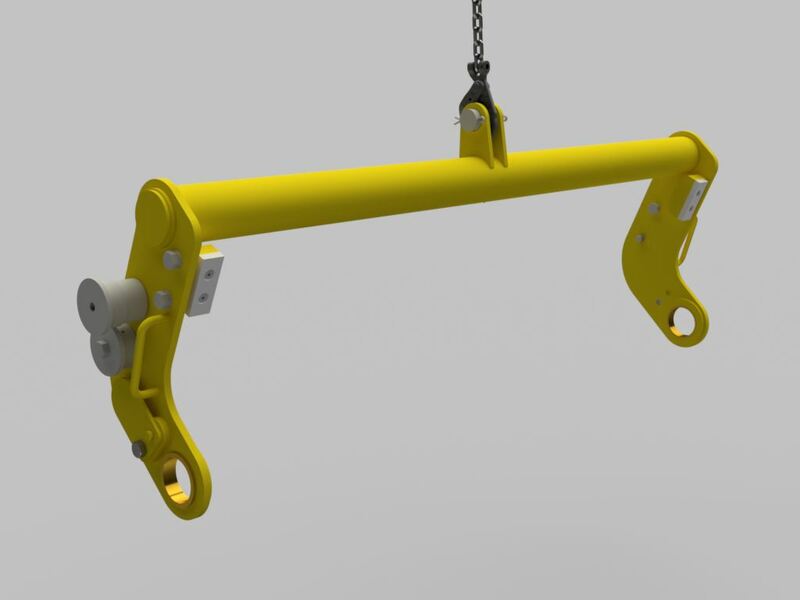 A lifting beam is often made from structural members and uses multiple rigging points for the hoist hook(s) and for attaching the load. 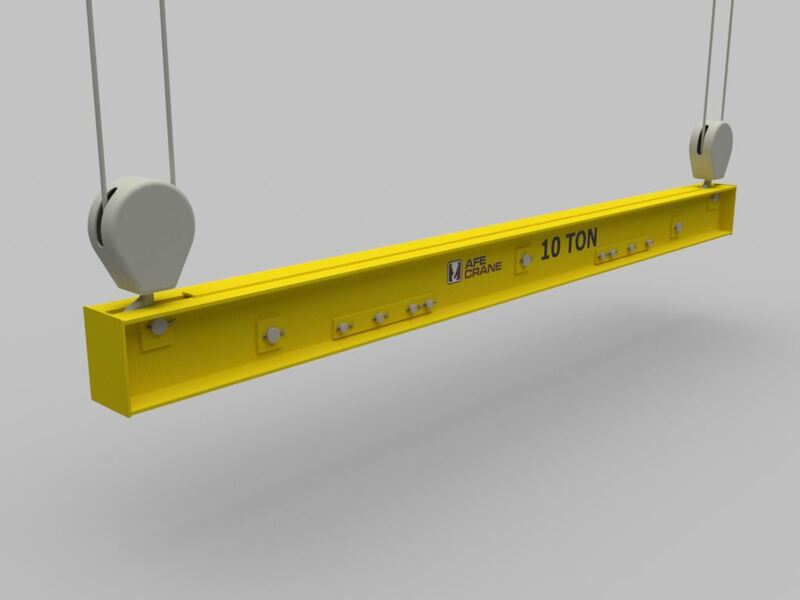 Lifting beams are often used to combine multiple loads into one lifting point or to split heavy loads for the use of multiple cranes or hoists. 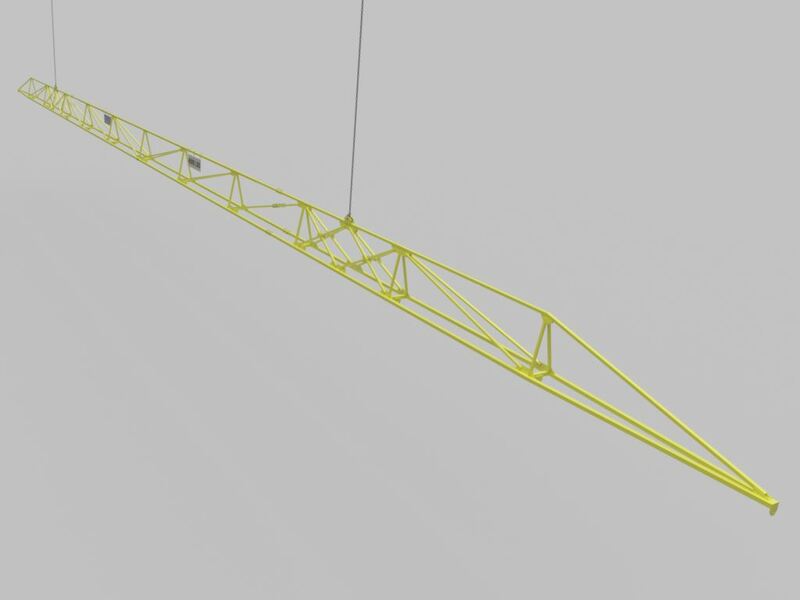 Spreader beams are similar to lifting beams but are only able to support the load at the ends of the beam. 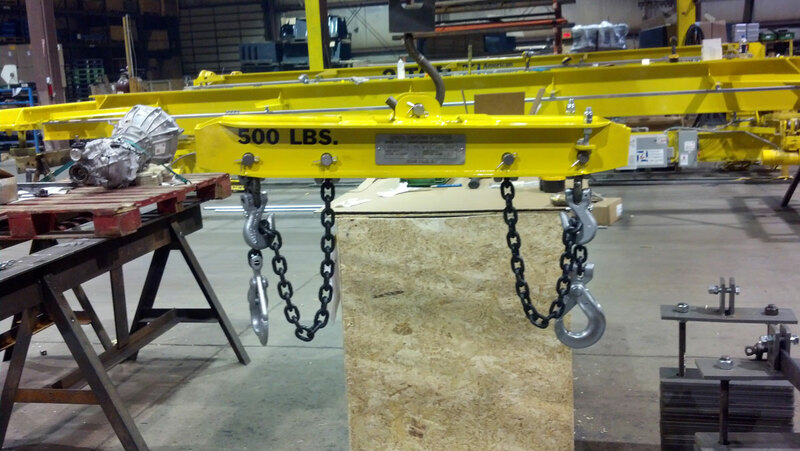 In addition, spreader beams are only designed to use one lifting point. 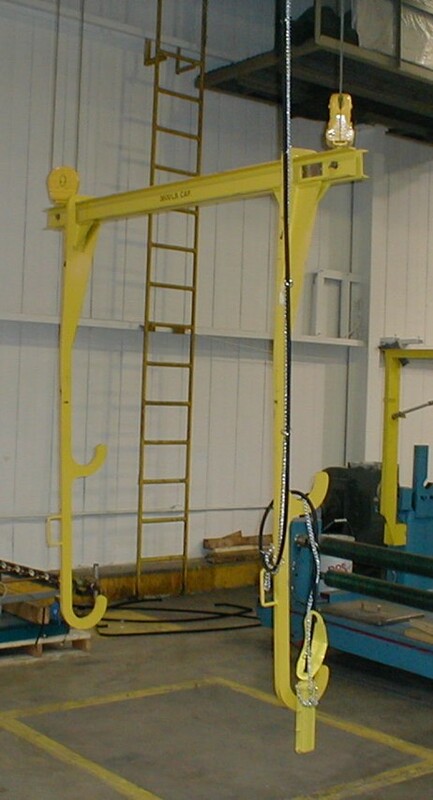 For lifting sheet material such as sheet metal and glass sheets, using a vacuum lifter is the most economical way. Sheet lifters use vacuum pump systems and suction pads to lift the sheet material. 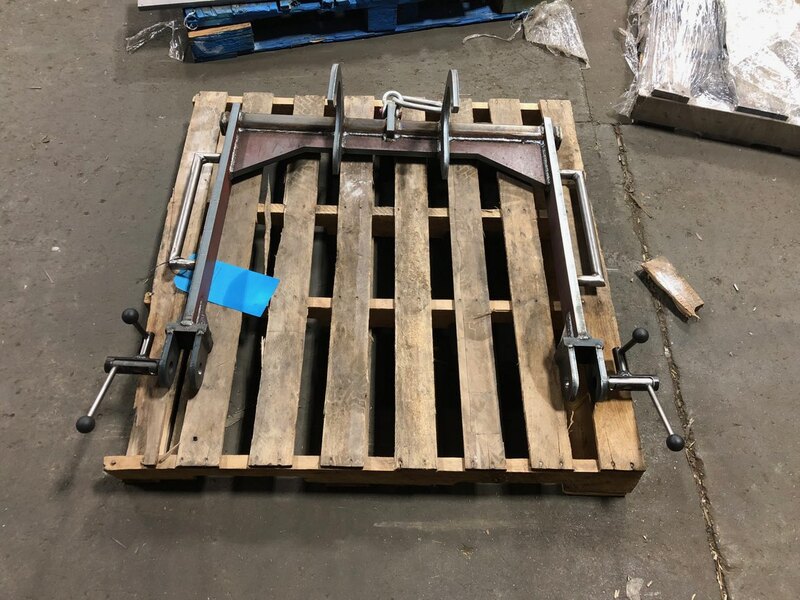 Depending on the weight and the size of material, multiple pumps and suction pads may be required to lift the desired sheet. 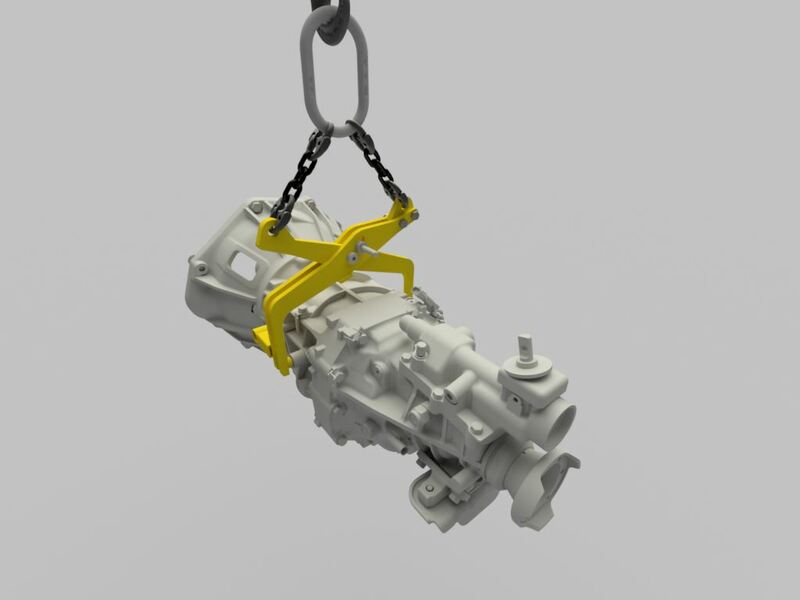 Sheet lifters typically hang below a hoist hook but can also be rigidly mounted to a double girder (top running or under hung) crane. 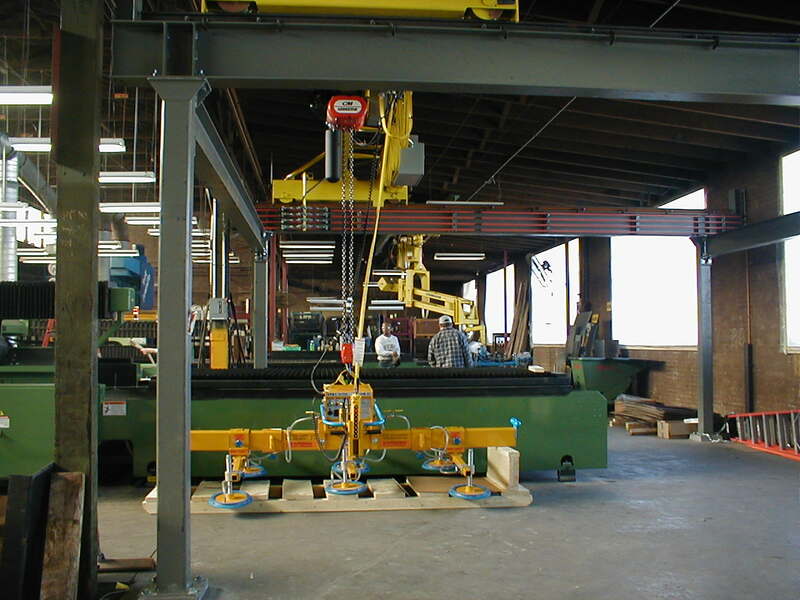 If equipped, sheet lifter can easily rotate or be manipulated the part for a fabrication or the next assembly step. 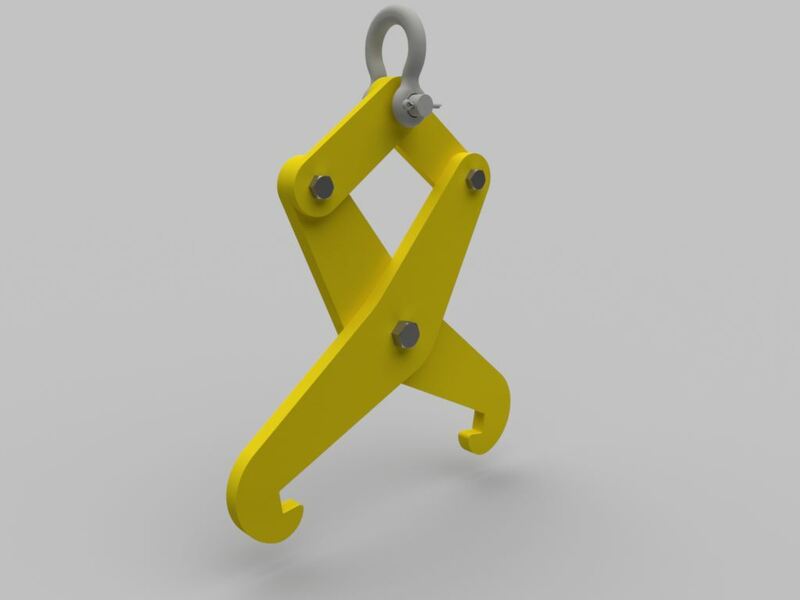 If none of the above are suitable for your application, contact us and we will work with you to improve your Below-the-Hook lifting safety. 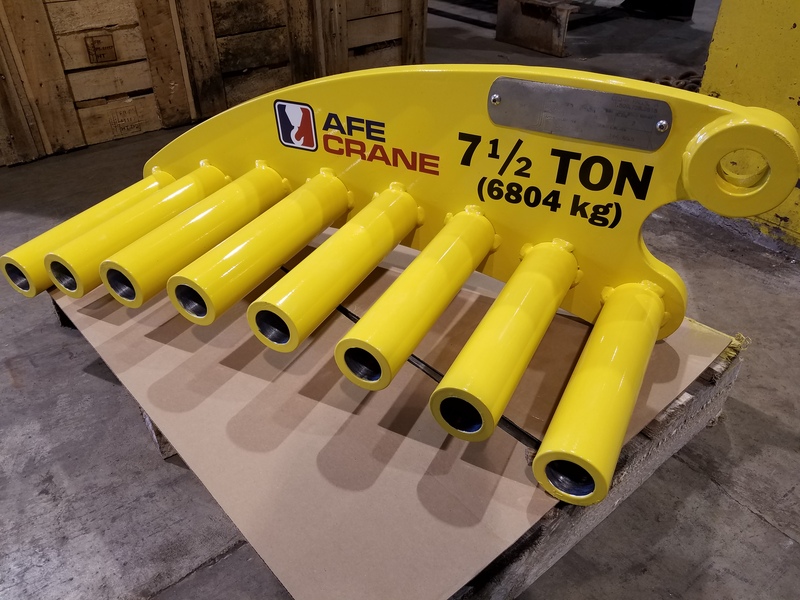 AFE Crane will be sure to design your lifting device to fit your needs, whether it is manually controlled or uses electrical or pneumatic devices. 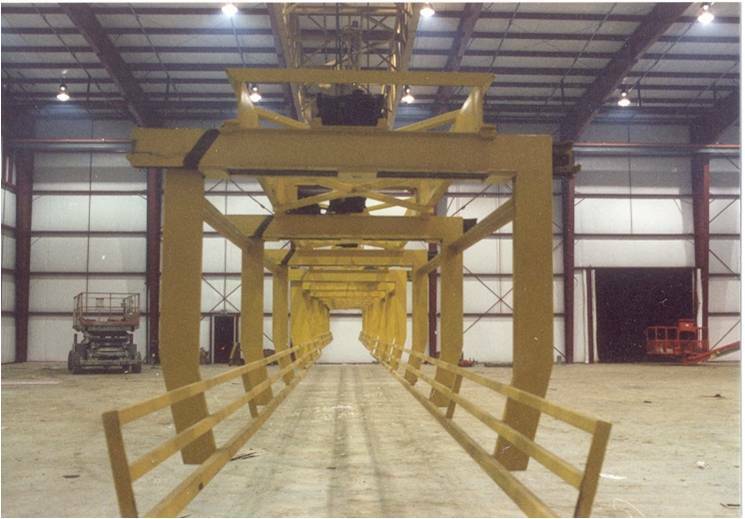 AFE Crane can improve safety on many existing overhead material handling systems. 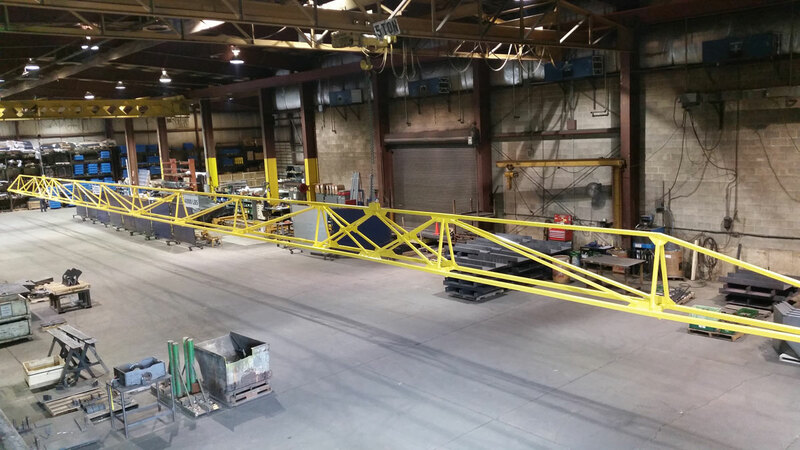 In this application we utilized two hoists and an additional axis of motion to help reduce the potential hazards in our customers facility. 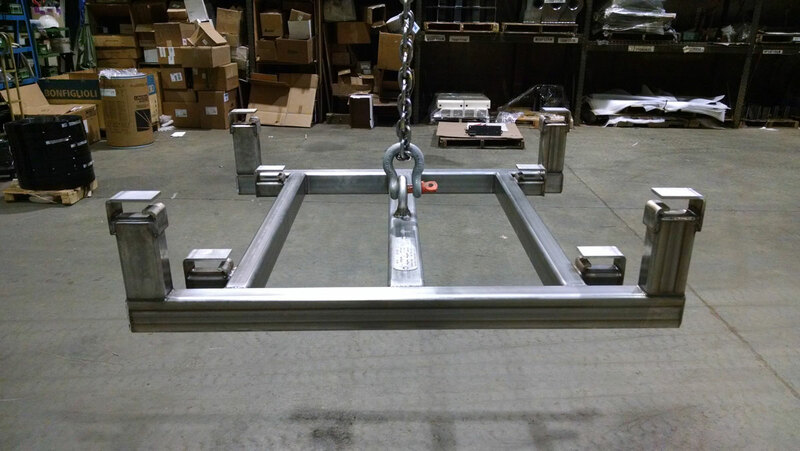 Our custom built, 180′ long load bar with a lifting capacity of 4000 lbs. 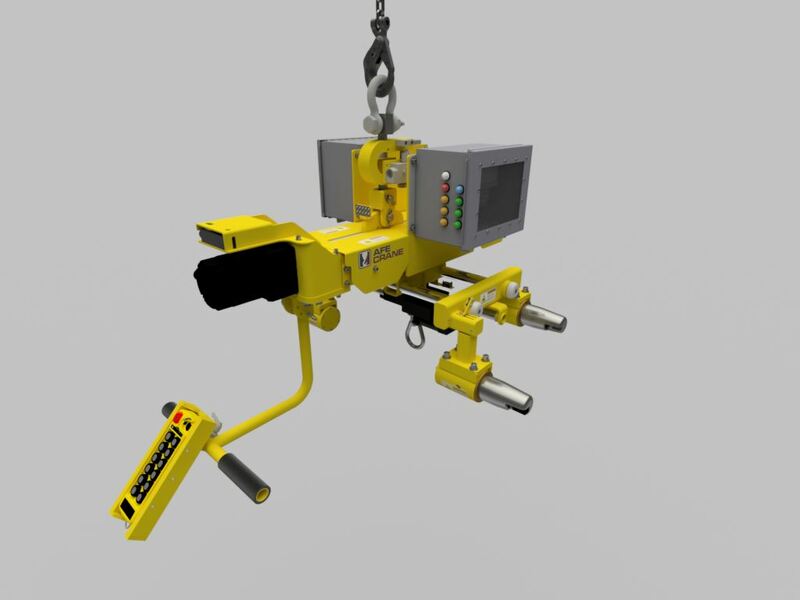 It has (2) hooking points for attaching hoist/lifting provisions, and (13) load hooking points. The load beam also splits into (3) sections for transportation. 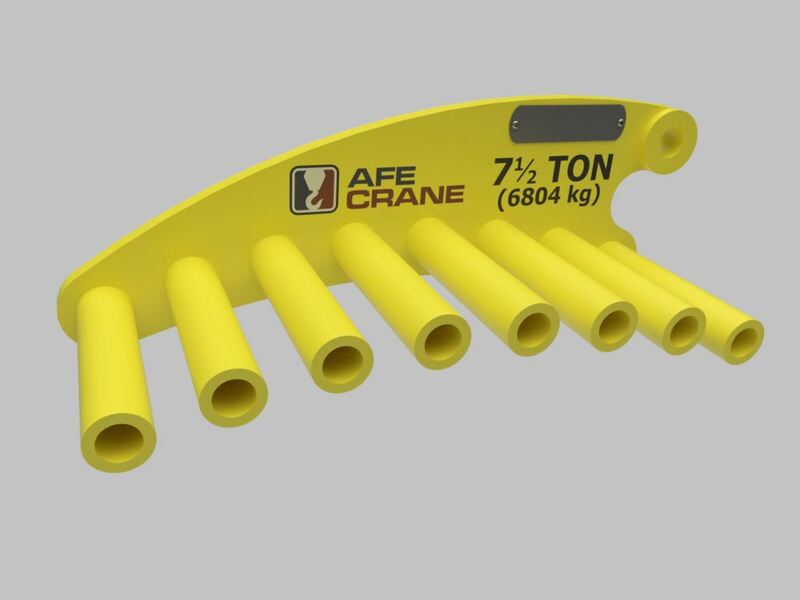 AFE Crane designed a load bar that lifts fuel tanks and places them on the main assembly line. 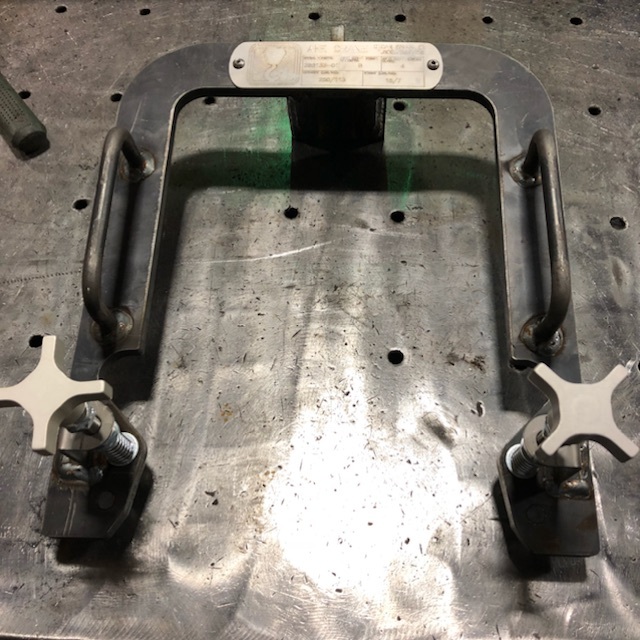 By incorporating actuators, a PLC and multiple sensors, we were able to make the assembly process safer than the previous manual lifting device.